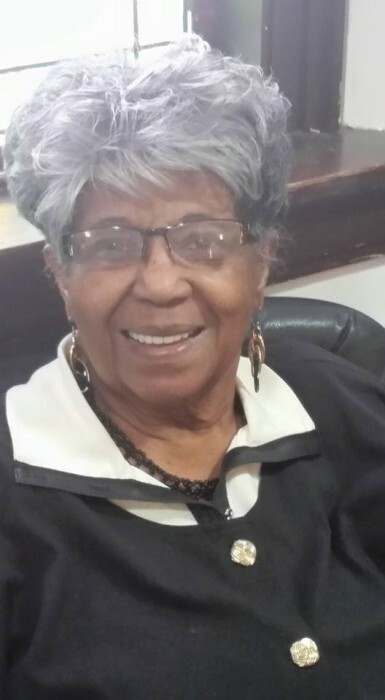 Elizabeth “Mama Liz” Johnson passed away January 27, 2019 at Aperion Health Care Center in East Moline. Funeral services will be 12 noon Saturday at The Word Church in East Moline with visitation 1 hour prior to service time. Memorials may be made to The Word Church. Schroder Mortuary in Silvis is assisting the family with arrangements. Elizabeth was born July 19th, 1933 in Chicago, Illinois to Gertrude Simmons and Sylvester Warren. At a young age, she confessed Christ and was baptized at New Nazareth Baptist Church in Chicago's South Side where she attended for many years. After completing her primary and secondary education in the Chicago Public Schools, she graduated from Englewood High School in Chicago. After relocating to Rock Island, she became the Church Secretary of Greater Antioch Baptist Church under the leadership of Pastor Lance Chaney, and retiring under the leadership of Pastor Jarrod Parker. She also retired from Project Now in Rock Island after serving for many years. Elizabeth was a faithful member of Greater Antioch Baptist Church in Rock Island until September 2010, where she felt led to follow Pastor Jarrod Parker to the newly founded Word Church, where she became the church's first church mother. Through her motherly live, wisdom and care, the church members coined the name "Mother Liz". Eventually as she grew in the role as church mother, her name evolved into "Mama Liz." Though she never had children of her own, she gained many adopted children, grandchildren, and even great-grandchildren, whom she calls her "babies", in the church. Elizabeth was an active member of the East Moline Elks Club and the Martin Luther King Activity Club in Rock Island. Survivors include her sisters Gerry Sumrall and Etheleen Jones; special god daughter Renee Sherrod, special god son Reginald Stewart and special cousins Patricia Randolph and Delores Osborne both of Chicago and a host of nieces and nephews.